We need you! 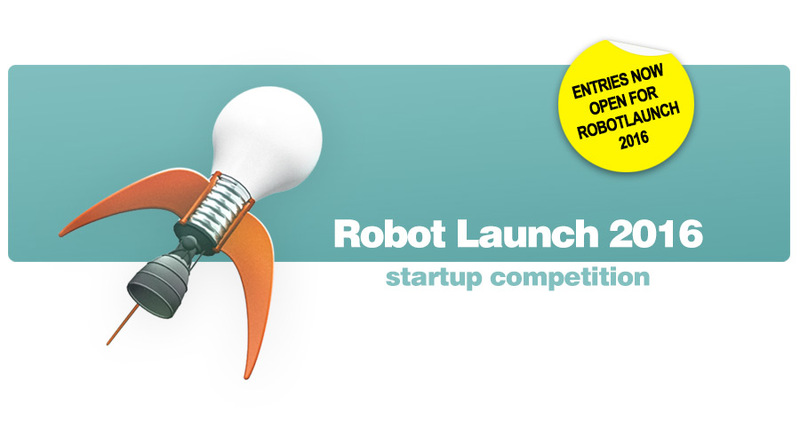 Silicon Valley Robotics and Robohub have just launched the 2016 Robot Launch global online startup competition. Pitch your robotics startup online to an audience of top VCs, investors and experts, with live finals in Silicon Valley. Entries close August 15. In previous Robot Launch competitions we’ve had hundreds of entries from more than 20 countries around the world. Our finalists have also reached the finals of major startup competitions like Tech Crunch Disrupt, and gone on to raise millions of dollars of funding making strong industry partnerships, such as working with Siemens Frontier Program. Our semifinalists also get featured on Robohub, the global robotics news site. And everyone who enters gets incredibly valuable feedback from top robotics VCs, investors and experts. CRITERIA: Your startup should be under 5 years old, with less than $2 million in funding. You should have a great new robotics technology and business model. Your startup is related to robotics, AI or autonomous vehicles. 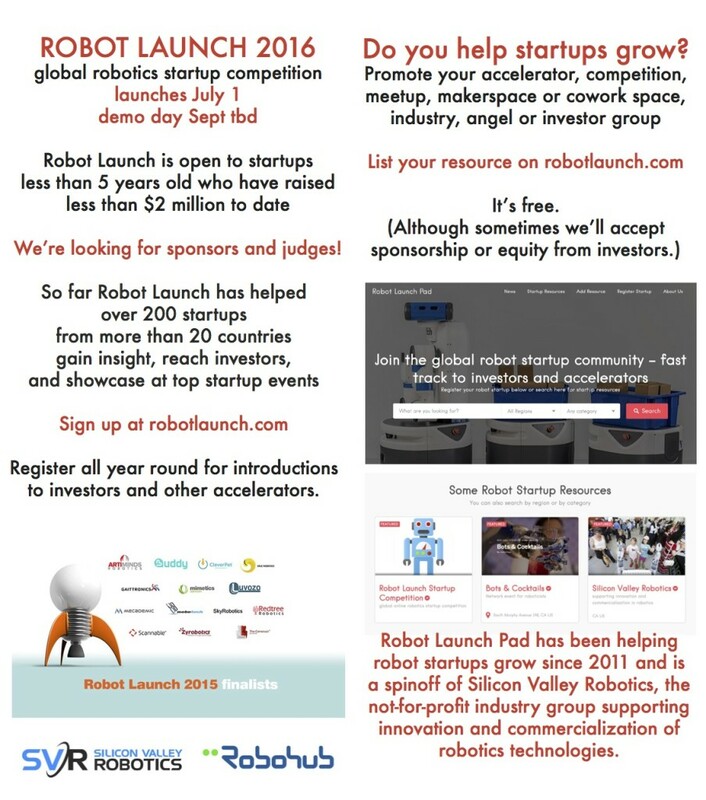 Robot Launch is a Silicon Valley Robotics initiative to help more robotics startups present their technology and business models to prominent investors in the Robotics and AI space. Silicon Valley Robotics is the not-for-profit industry group supporting innovation and commercialization in robotics technologies.